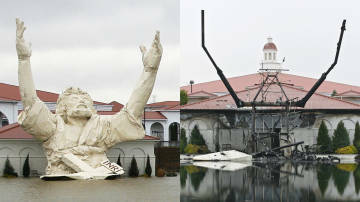 Perhaps you’ve seen the giant Jesus statue off I75 in Ohio. Lightening has struck it…and apparently it was flammable. Article about it is here.